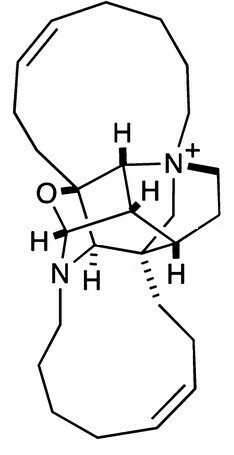 Just look at the structure of this alkaloid! Sometimes you just have to step back and marvel at the structures that are found in nature. Check out zamamiphidin A, a new manzamine alkaloid isolated from an Okinawan sponge by J. Kobayashi and co-workers (Organic Letters). Heptacyclic. Quaternary ammonium. Massively bridged. Well done, sponges!